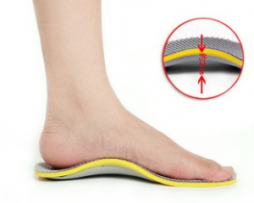 Home Page | Orthotics | What are the best arch support insoles for plantar fasciitis? 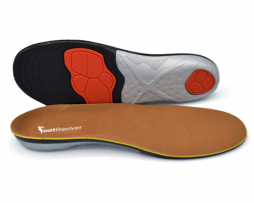 What are the best arch support insoles for plantar fasciitis? Plantar fasciitis can make daily life far more difficult and more uncomfortable. That is why it is a good idea to avoid getting it by ways of prevention using orthotics than just doing nothing and waiting to get plantar fasciitis and then doing something about it by treating it with ways that you could have done to help prevent it earlier. Athletes tend to suffer from plantar fasciitis due to them overusing and causing inflammation of the plantar fascia. Many athletes will suffer at some point from plantar fasciitis when they really could have avoided it by simply doing some proper stretches of the feet and wearing proper insoles in their running shoes. It not just athletes who suffer from this condition but people who are overweight also have a much higher chance of getting plantar fasciitis because of the extra weight they carry adds extra pressure on the plantar fascia which it cannot cope or designed to deal with meaning it can more easily tear or be damaged. The best ways to prevent and/or treat plantar fasciitis is by swapping flat insoles in your shoes for some special arch support plantar fasciitis insoles. With the specially adapted orthotic that offer better support for the arch of your foot and plantar fascia will make plantar fasciitis a thing of the past. Standard flat insoles found in many shoes than you buy offer little or no arch support at all. Support is needed because as we get older the muscles and tissues that help to support the arch of our feet will get less strong and flexible… with the constant strain of gravity on our arches along with a busy life where we are always on our feet running from one place to the next creates a lot of pressure on our arches, the risks of developing plantar fasciitis are stacked against us. But thankfully all we need is better supporting orthotic insoles to help alleviate some of this strain and pressure from our arches. By wearing arch support insoles, pressure and tension is took off the plantar fascia and this reduces the risk of tearing it. Not only will special orthotic help to support your arch but they also help to cushion any unwanted pressure or shock that could harm your feet as you walk or run. You can buy orthotics here at NuovaHealth where we have a wide range of orthotics and insoles to help anyone. If you have any further questions in regard of plantar fasciitis or orthotics to help prevent plantar fasciitis please comment below and I will be happy to answer any questions you may have.